It’s time to wrap up some Easter treats. 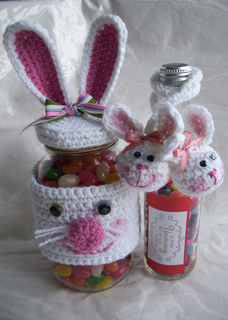 These jar wraps and ties will make ‘cute as a button’ gifts for easter, especially wrapped around a jar of jelly beans, or a jar of your best ever cookie mix, or a jar full of chocolate eggs. Whatever you decide to do with your wraps and ties, they are sure to be a hit!